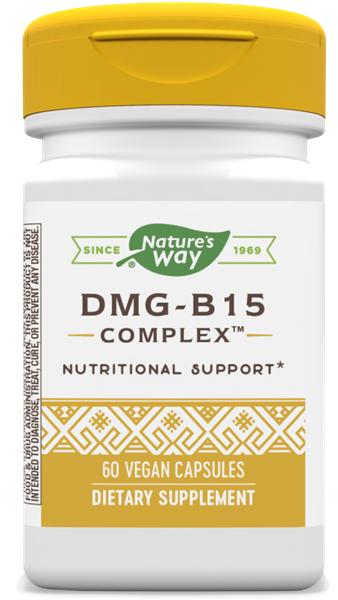 DMG-B15-Plus™ / 60 Veg Caps - Nature's Way®. Take 1 capsule two or three times daily. If pregnant, nursing or taking any medications, consult a healthcare professional before use. What are the benefits of DMG-B15 Complex? What is DMG derived from?